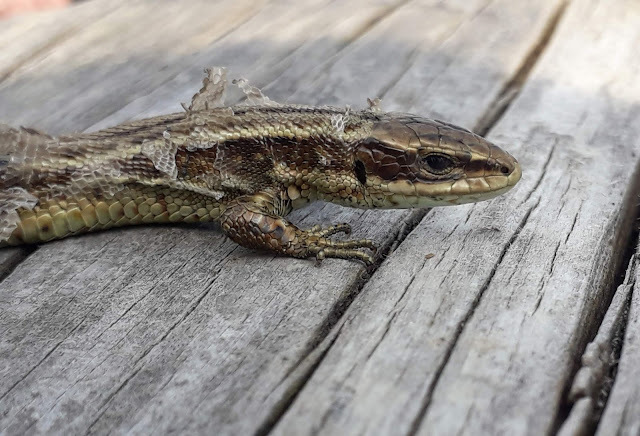 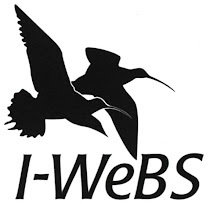 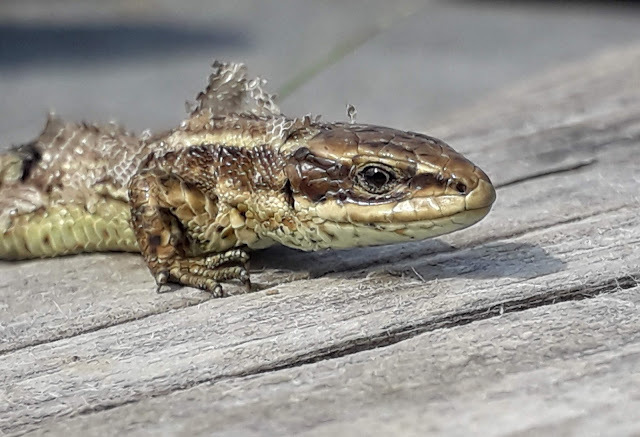 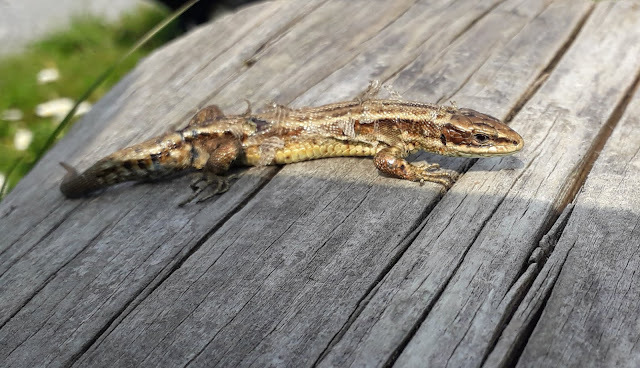 Ive always enjoyed interaction with reptiles, which living in Ireland makes quite difficult. I was looking over Poulnasherry bay from Moyasta creek , not much wildfowl about, 2 Pintail were among a handful of Wigeon and Teal, 6 Little Egret were bunched up on the bank. 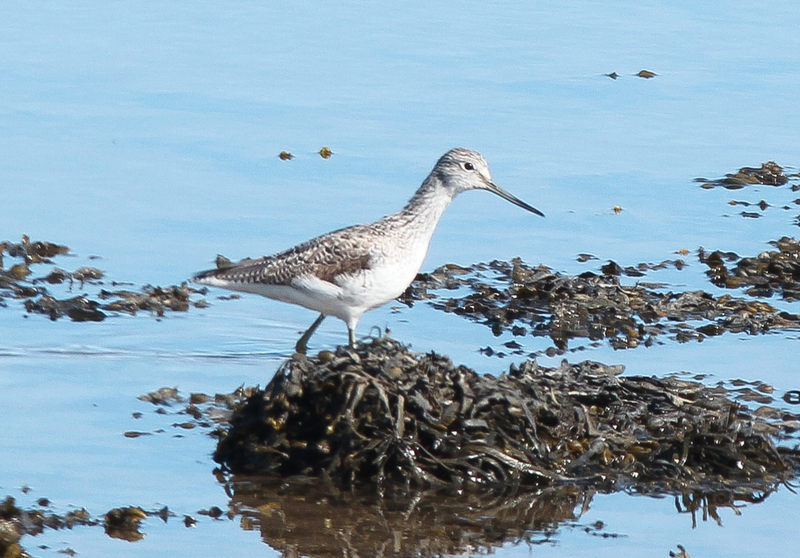 One Greenshank was on the mudbanks. 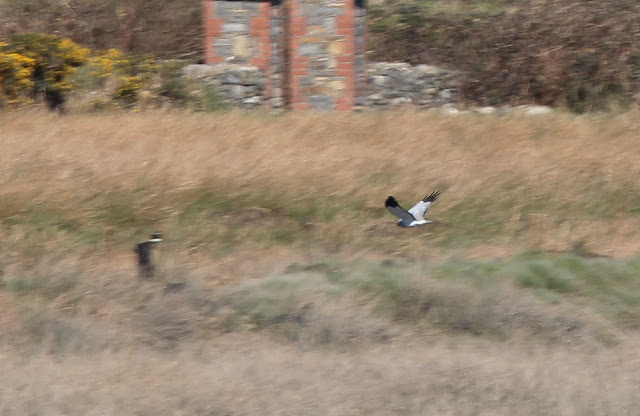 As I looked back to talk to my Dad a speedy Male Hen Harrier came over the bridge round the gardens over the creek and out west -- Gone! 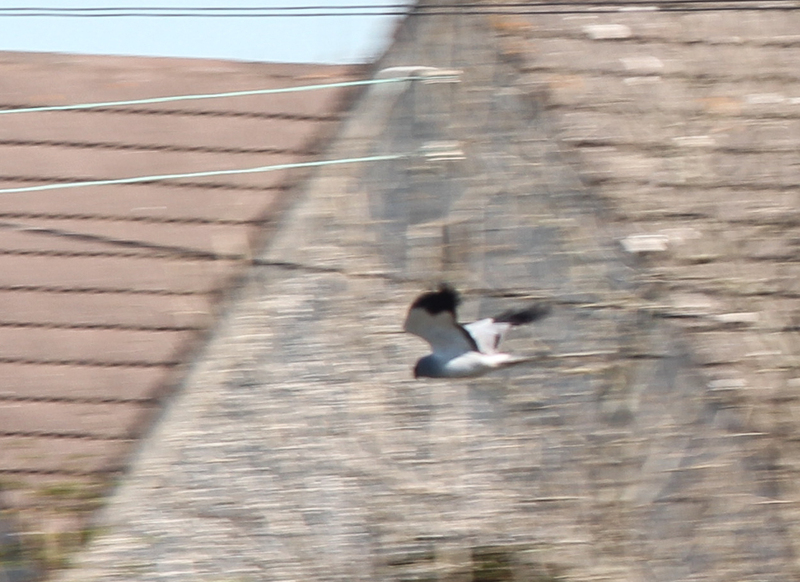 Crappy records shots but Hey Nice bird. 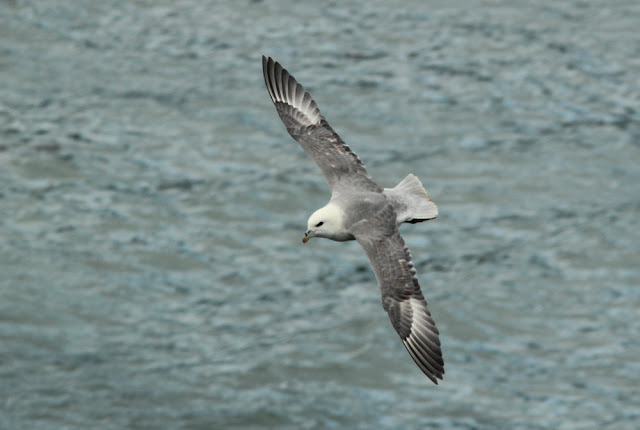 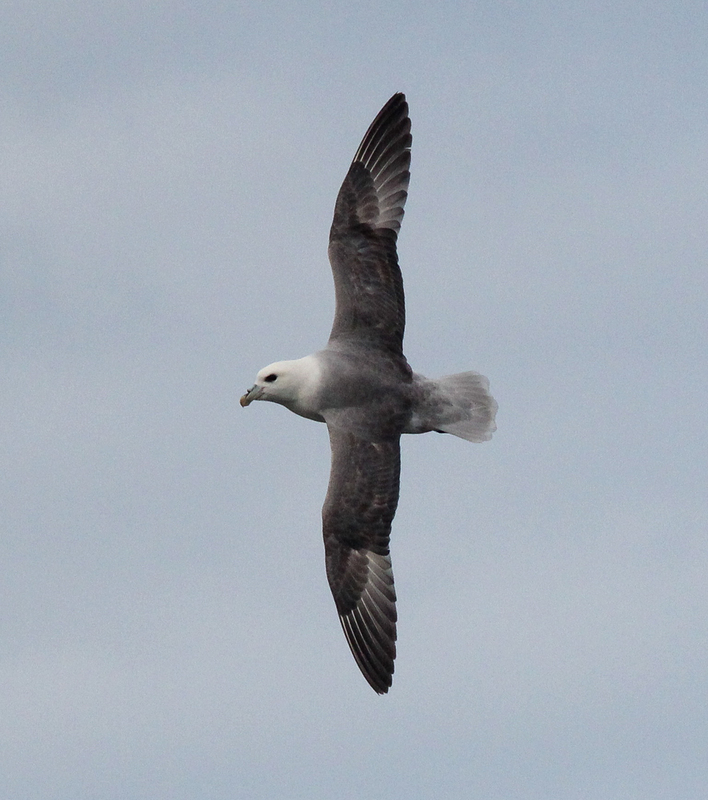 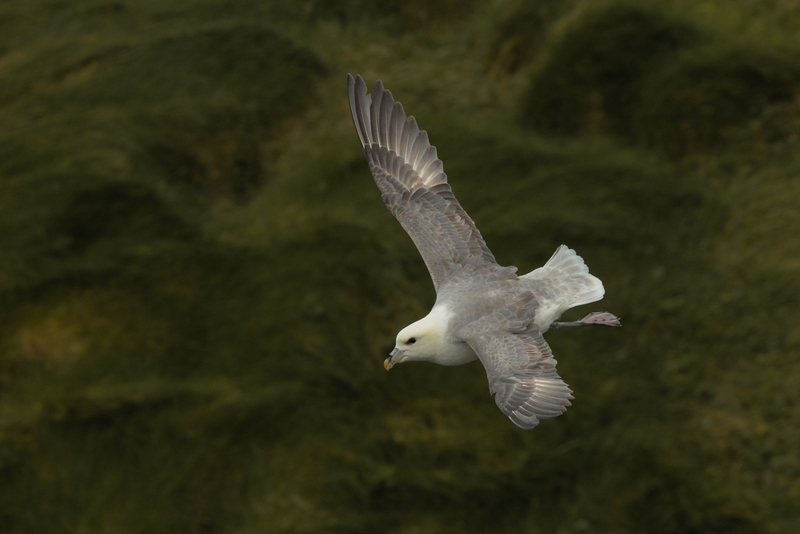 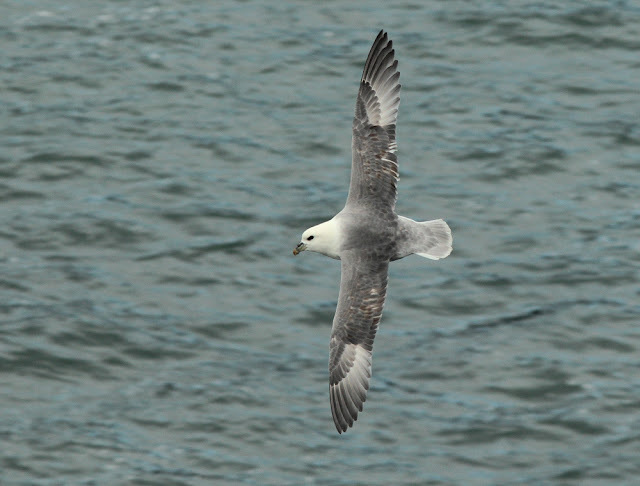 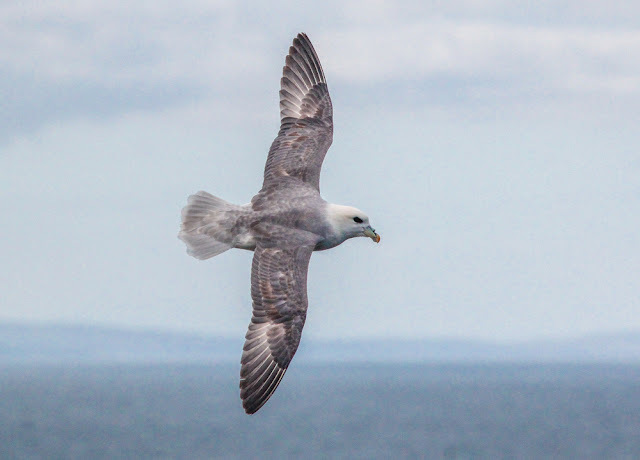 Its a Good time of year to watch Fulmars. Anywhere along the Cliffs of Licannor, Hags Head and The Cliffs of Moher as they flies low over the Cliff tops on stiff wings, with shallow wing beats. 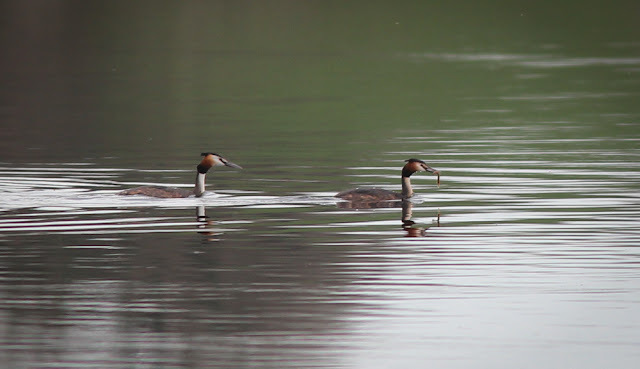 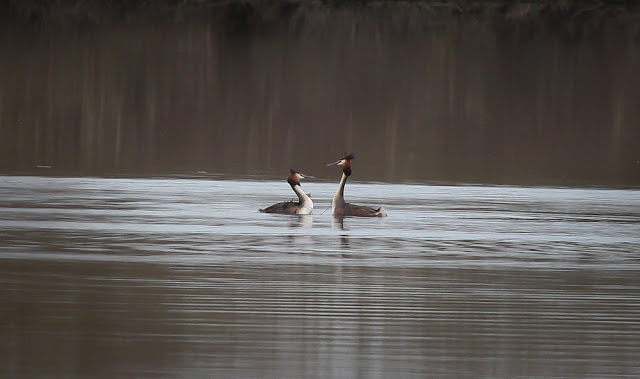 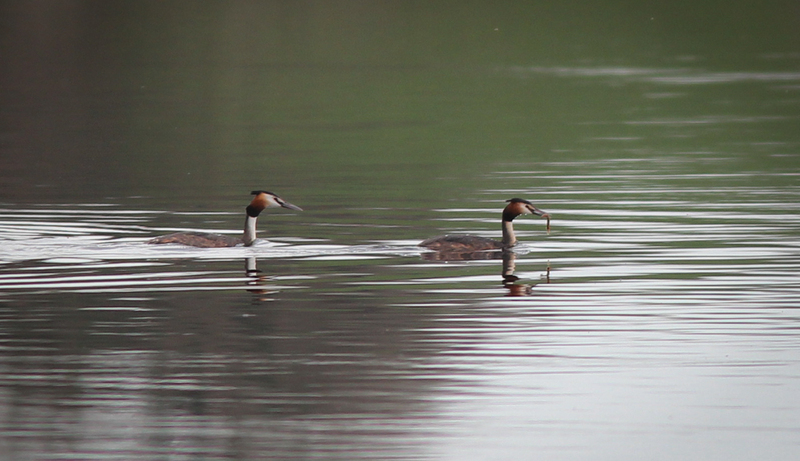 Not much wildfowl or Swans about, but the game was on for the Great crested Grebes. 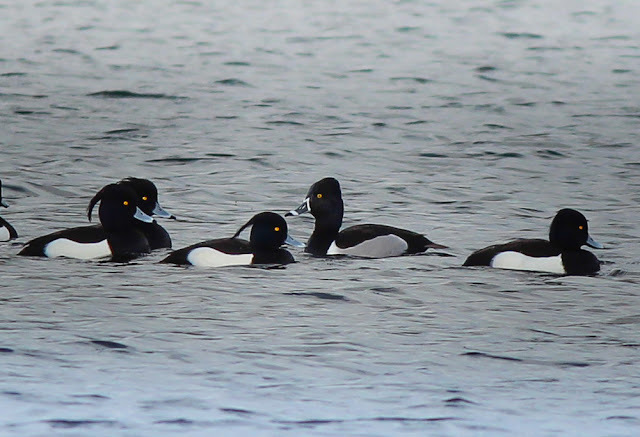 Not quite in full show yet as the females were checking out all the males and so forth. 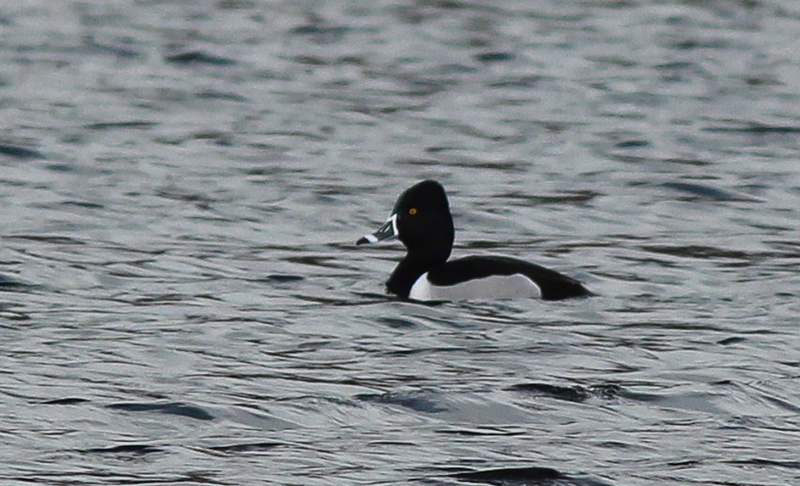 Finally caught up with this Ringed necked Duck from North America that has been visiting Westfields NR in Limerick. 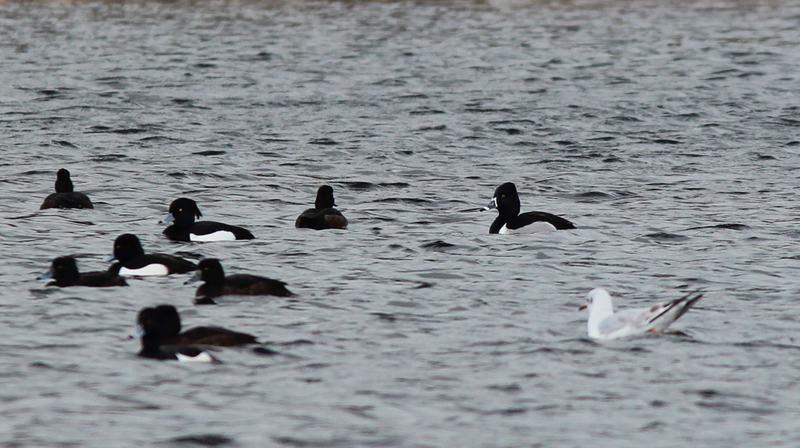 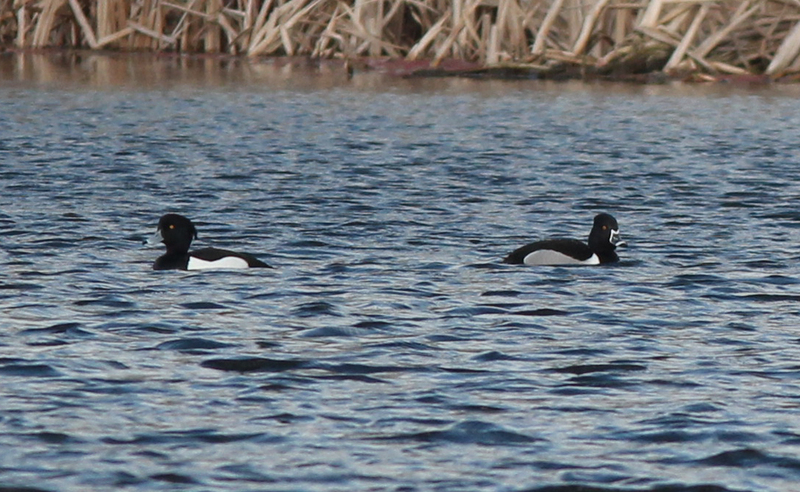 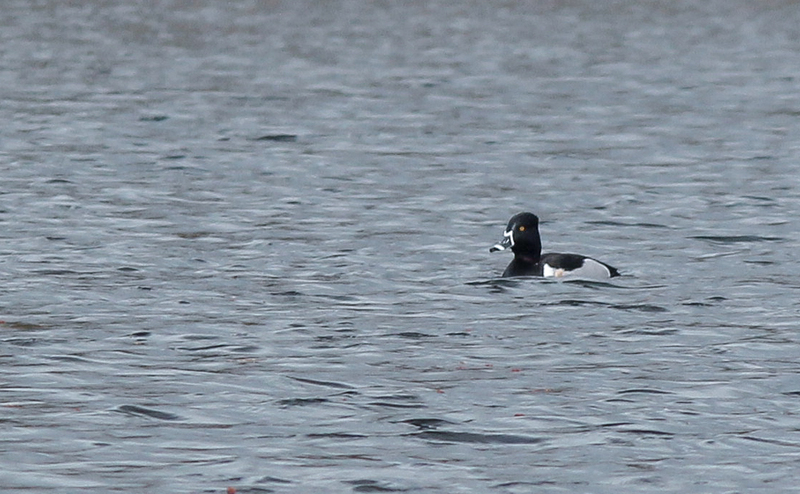 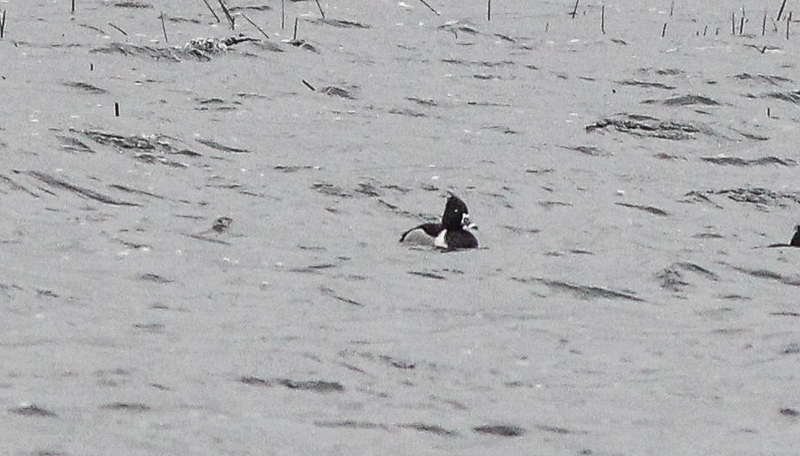 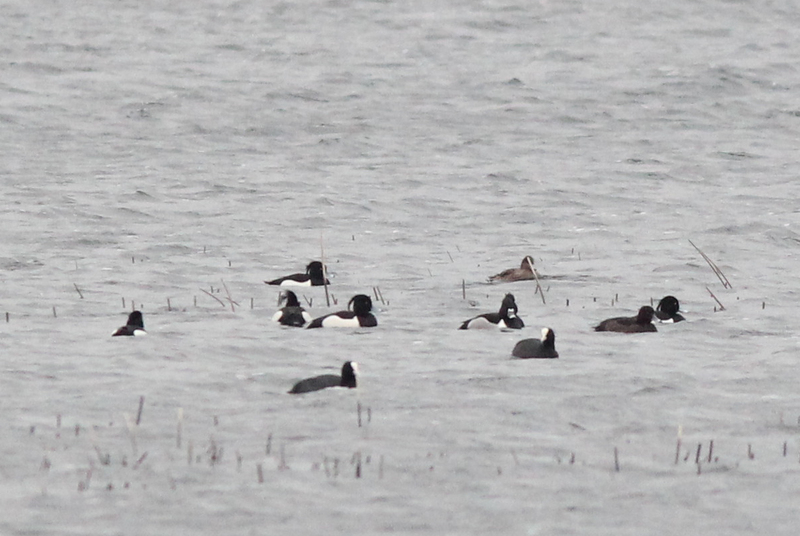 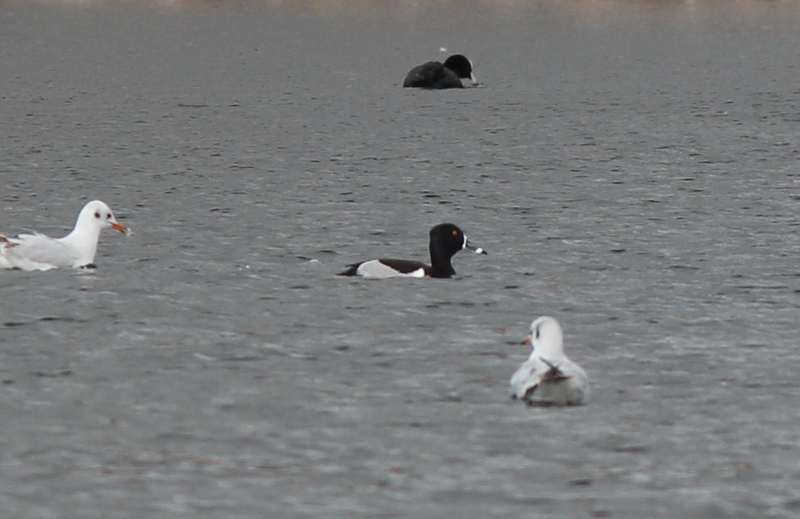 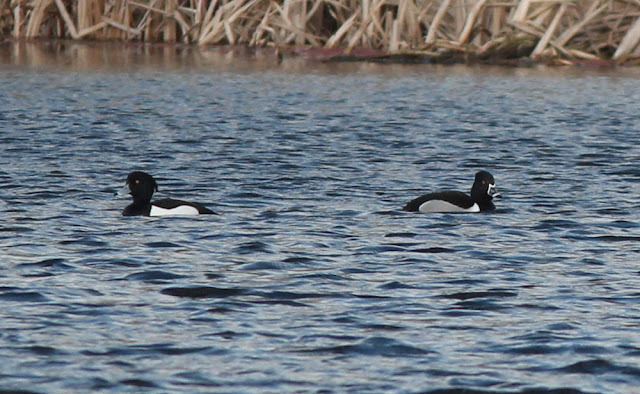 The bird was hanging out with the Tufted Ducks in the middle of the lake. We often take a walk down Ennistymon Falls as a family. 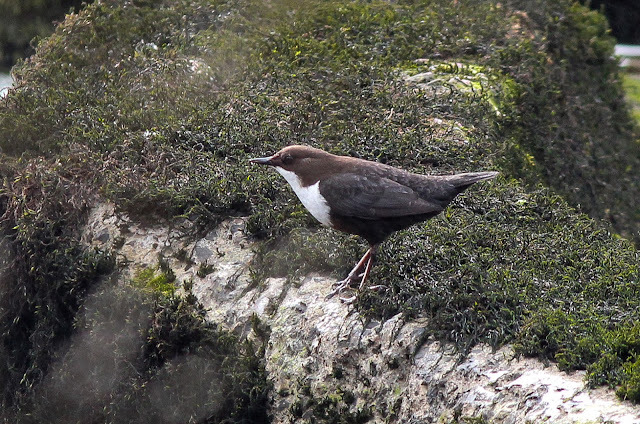 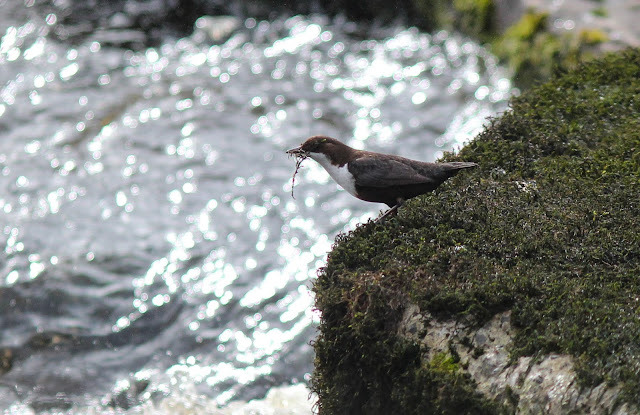 Its a good place for the kids to see Dippers ,which were nest building. 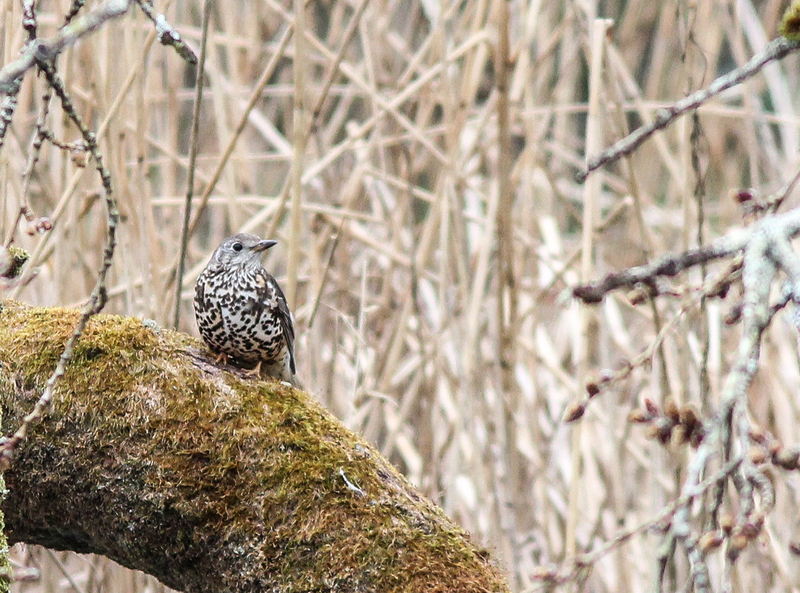 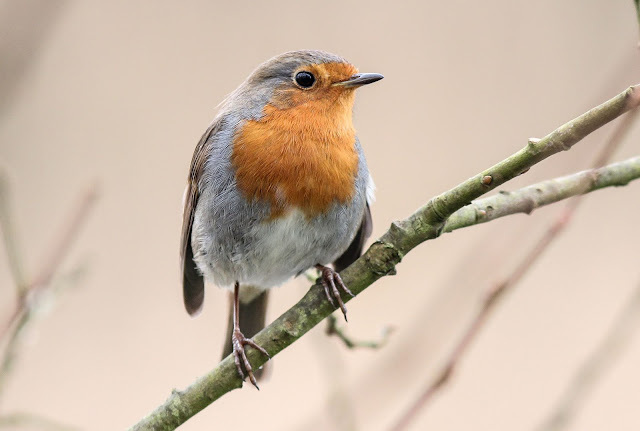 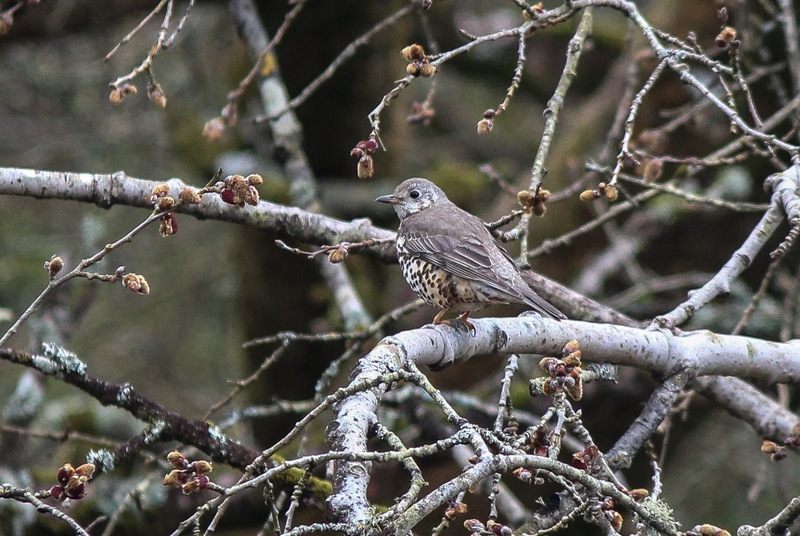 A pair of Mistle Thrush and pair of Robins were active along the river. 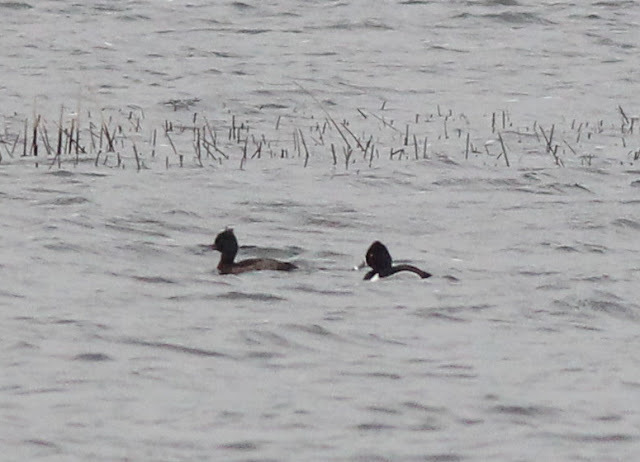 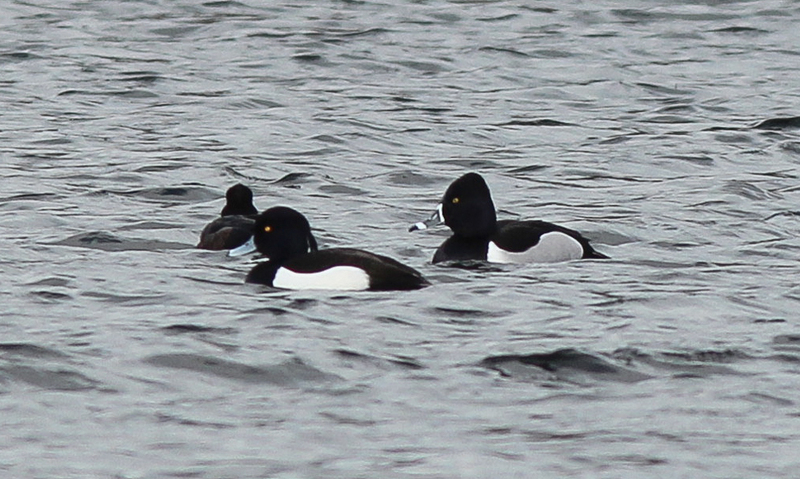 I some how missed out on a Ring necked Duck in Limerick 4 days ago, I seen it as my best chance of getting a good photo of this Species but it wasnt to be. 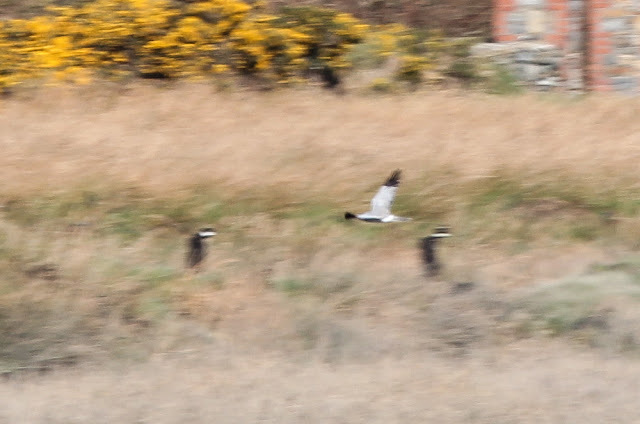 So this morning I took the chance of looking for the Ballyalia lake bird that had been around a while.It took me some time to find and Im quite happy to settle with some record shots.